A perfect pantry may seem like a dream to you; but not anymore. Whilst traditional options are often the best, storage must work in order to be effective. 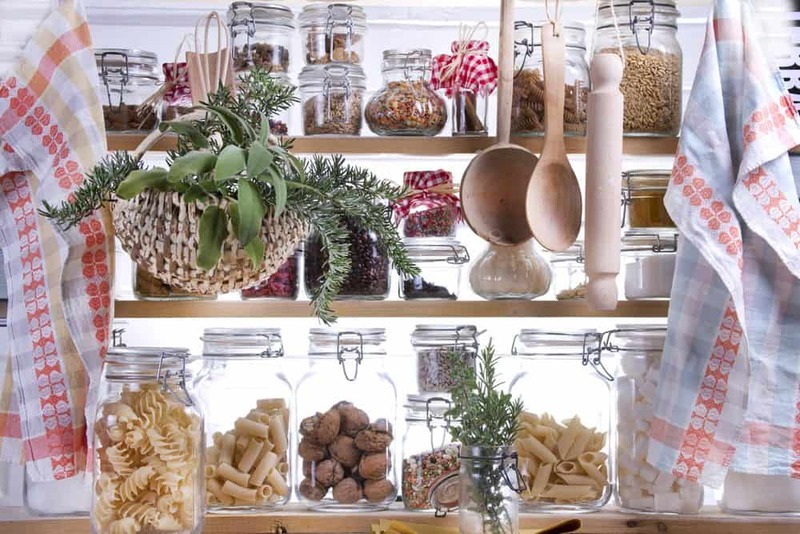 These expert storage tips for the perfect pantry will help you to organise shelves and pantries like a pro. Consider carefully your kitchen storage options and space otherwise you’ll have tons of space but no jars or crockery that fits anywhere. So before you rearrange cupboards, decide what you want to keep in the kitchen and what can be thrown out or stored elsewhere. You probably know from experience that the hallmark of a happy home is the perfect pantry and usable storage. You may not have a walk-in pantry but the following tips for the perfect pantry work just as well for most food storage shelving. Ideally, the area must be secure, dry and cool with no natural bright light. If your food shelves are bathed in sunlight you should re-position them. If one shelf is waist height and can be made out of slate, granite or stone then you can store cheese, cooked meats, butter etc without over-chilling them in the fridge. The perfect pantry will contain all the household basics that you use most often. Ensure they are all within easy reach. Wicker and cane baskets are perfect as they breathe. Make them more convenient by placing them on runners for ease of movement. Horseshoe shelves are super efficient if you have room. 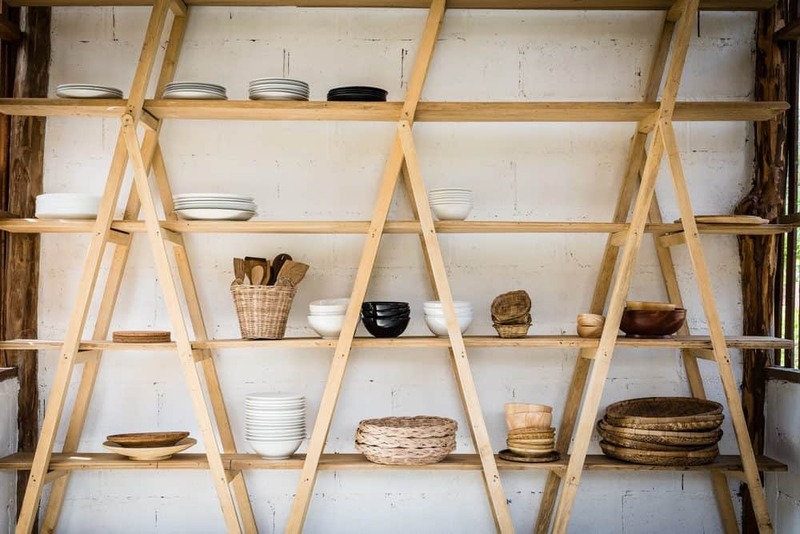 These are simple shelves that curve in a ‘C’ usually around the side and back walls of your pantry. With this inclusion, you’ll be well on your way to achieving pantry perfection. Floor: Wicker or cane baskets containing root vegetables, onions, garlic, potatoes, ginger and carrots can be placed on the floor. If you live in a rural or other areas where mice may be attracted, ensure items on the floor are securely sealed. First Shelf: The shelf above the floor should contain dried goods such as rice, pasta, bread, flour, sugar, stock cubes, spices, beans, peas, lentils, dried fruit, nuts, and loose leaf tea. Shallow shelves installed just inside the pantry on the side wall is where I keep a delicious range of spices. They are easy to see, easy to reach, and take up little space. The shelves are only a little wider than most of the spice jars. Second and Third Shelf: Store condiments and ingredients in secure bottles and jars with lids. On this shelf store items such as jams and other breakfast spreads, syrup, your different vinegars and cooking wines, dried mustard, pickles and gherkins (if they are not in the fridge), sun-dried tomatoes, sauces, oils, cocoa, tea bags, and coffee. 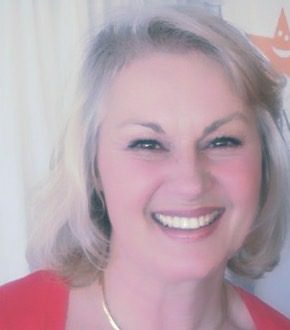 Top Shelf: On the top shelf, store items you don’t use everyday, such as canned products – fish, vegetables, fruit – soup, more flour, specialty teas, and in my case, a cheese knife set in a block. You may also wish to store extra canisters, special serving plates, and other items you don’t use all the time. 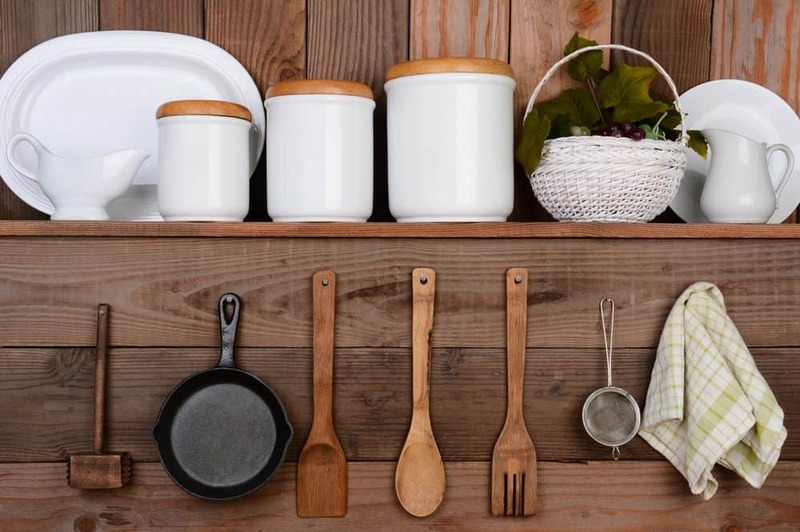 Talk to the experts at Bunnings, Howard’s Storage World, or your local hardware store to find new products and tricks for improving your kitchen storage. If you’re looking for other ways to style up your kitchen then check out the amazing Zip HydroTap which dispenses fresh, sparkling, and hot water; how to add colour using floor and wall tiles; tips on choosing the best countertops for your kitchen; and how to incorporate beautiful fabrics in your home decor. 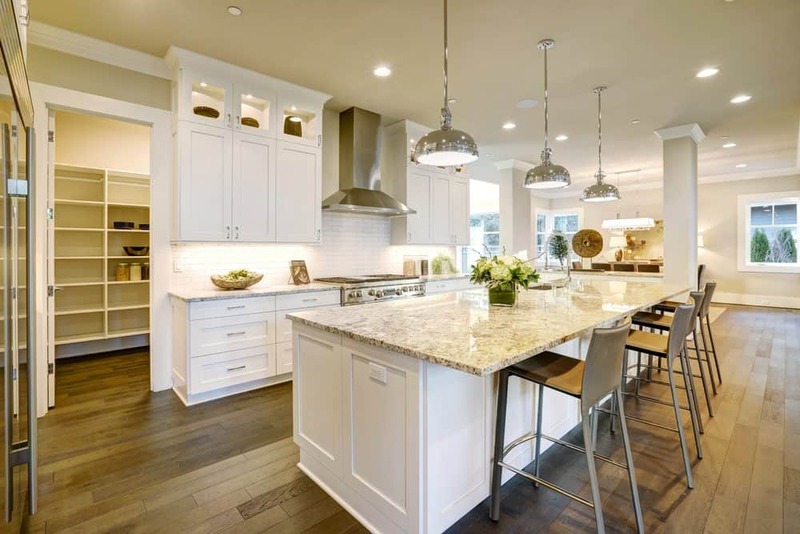 For all the top brands and regular great specials to SAVE you lots of money shop at Kitchen Warehouse or Kitchen Style, both excellent on-line and reputable suppliers. For accessories and other homewares to create a beautifully styled kitchen try Pottery Barn, Zanui, Bed Bath ‘n Table, or Temple & Webster. Or head over to our ‘What’s On Sale’ page for genuine savings on Interior Design and Homewares items.